Which is your favourite home restoration/renovation show? My weakness is Grand Designs. Grand Designs is definitely my favourite. Kevin McCloud is such a natural and genuine presenter. I like the fact that he is just himself and doesn't put on a hyped up performance like some other lifestyle show presenters do. He is obviously fond of people and would make a wonderful dinner guest. I like watching Grand Designs, but it is not really a practical show on telling the average person how to build a home; they always go way over budget. I rarely like the style of houses they build either. I like the show where they are trying to sell, but need to improve how their house looks first. I can't remember what it is called, but I think that is my favourite. Most of these shows are good.. but people first need to learn that hoarding in any degree is bad and secondly not arranging what you already have - will never give you the idea of what you need or what you need to dispose of. But it also might give the houses on the show the appearance of needing a makeover - when all they need is some weeding, landscaping and a thorough cleaning, including de-cluttering. In some cases I liked the Block and in some others I like the Grand Designs. Selling Houses Australia wins hands down no questions asked. I love all the different renovation shows done by Mike Holmes. The first was Holmes on Homes, where Mike and his crew would come into homes that had already been renovated or are newly built but the work was poorly done. Mike sets out to fix the shoddy work. His second series was called Holmes Inspection where he visits homes that had been newly purchased but the owners are having some sort of issue with the house. Each home owner had a home inspection done, but the inspector missed issues. Mike does his own inspection and fixes what he finds. Lastly, most recent series is called Holmes Makes it Right. They are all excellent shows. 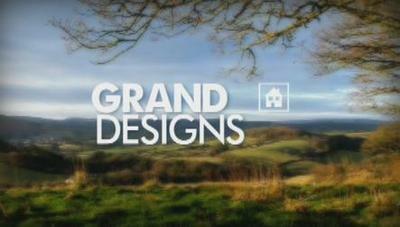 I dont often watch any of these -have watch Grand design I think however would not do so regularly. Having been through a lengthy home refurb, that was enough for me! These shows maybe interesting for ideas for new home builders, but I find them as boring as bat@&$-! Grand Designs wins hands down for me. I never watch the Australian home restoration shows, even though I live in Sydney, NSW.